Mustang seats; your seat for ultimate comfort, day after day. 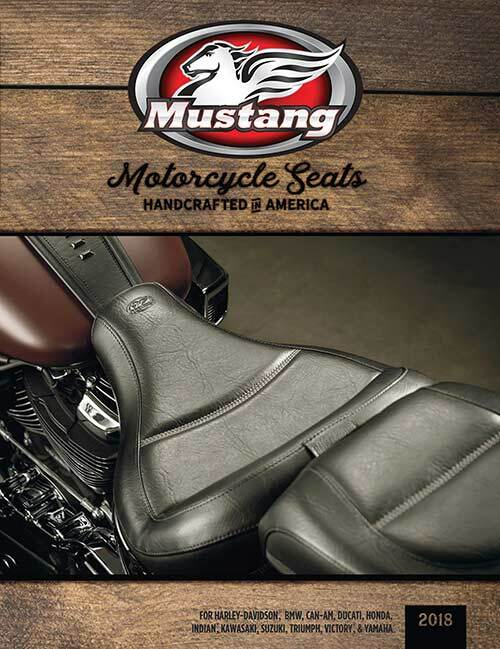 Mustang prides itself in making the highest quality, most comfortable replacement motorcycle seats available and offering them at reasonable prices. Every Mustang seat is made in the U.S.A. and is meticulously designed so that the baseplate, foam and cover components combine to make the finest, most comfortable seat. Can't wait to get one? Just choose the seat that matches your motorcycle! Choose your seat in our catalogues displayed below and contact us for a price quote. Please include the partnumbers when requesting a price quote and don't forget to specify more details about the bike you are ordering a seat for. If you use INTERNET EXPLORER to view our catalogue you need version 9 or higher. Any other browser will also do.